Alcoholism takes a toll on a person’s health, family, social relationships, career, and finances. Some people hit rock bottom before they seek help. Others decide to make a change before they hit a low point. The recovery from alcohol abuse is a long and bumpy road and is influenced by several factors. The first step in beating addiction is accepting there is a problem and becoming motivated to do something about it. Once an addict is ready to stop drinking, there are, fortunately, a number of resources for alcoholics and their families to get the support they need. A recovering addict need not feel isolated. Help is available for those who seek it. No matter how heavy a person’s drinking habits are, there are alcohol resources available to help cut down or quit drinking altogether. Alcohol use disorder is a complex disease. There are several misconceptions about it. Many people who are struggling with a drinking problem do not know the facts about alcoholism. Is an addiction to alcoholic beverages a moral problem? What’s the difference between a problem drinker and a social drinker? How much does a person have to drink to be called an alcoholic? Finding accurate and reliable information about alcoholism is an important step in the process of recovery. There are several authority resources for alcoholics that offer evidence-based information on alcohol abuse and its associated mental health issues. The National Institute on Alcohol Abuse and Alcoholism: This is a group of centers and institutes that are a goldmine of information about the impact of alcoholic beverages on human health. The NIAAA conducts research, coordinates with federal agencies, and collaborates with a number of organizations and agencies. This institute is one of the most trustworthy resources for alcoholism. Recovering addicts can rely on the information provided by the NIAAA to understand the effects of an addiction to alcoholic drinks. The National Institute on Drug Abuse: This is a reliable source of facts about battling addiction and overcoming a dependence on alcoholic beverages. The institute offers knowledge to people who want to learn more about alcoholism. NIDA is one of the leading resources on the science of addiction. The Centers for Disease Control and Prevention: The CDC provides fact sheets on alcohol and human health, including useful information about what constitutes one drink, what is the strength of different beverages, what qualifies as excessive drinking, who is considered a moderate drinker, and what are the short- and long-term health risks of alcoholic beverage consumption. People can obtain accurate information from the CDC to ascertain whether they have a problem with drinking. The National Institute of Mental Health: In many people, alcoholism is not an isolated problem. It coexists with or contributes to a number of mental health issues and psychiatric syndromes. Recovering alcoholics with challenging medical issues can obtain information from the NIMH. This is an excellent resource for people battling addiction complicated by mental health issues. The Substance Abuse and Mental Health Services Administration: This is a useful resource for anyone trying to overcome a dependence on alcoholic drinks. It provides brochures, e-books, and pamphlets for wide-ranging information on the prevention and treatment of alcohol use disorders. SAMHSA is a good resource for alcoholics and their families seeking information about programs, initiatives, campaigns, and assistance centers to aid in the recovery from addiction. For many people, the most daunting thing about defeating alcoholism is doing it alone. Yet, a person trying to quit drinking does not have to do it in isolation. People trying to overcome an addiction have access to a number of resources for alcohol abuse that can aid recovery. These mutual support groups offer help in a safe environment. Listening to other people’s stories and learning from their experiences can be incredibly useful in alcoholism recovery. In fact, connecting with other people who are trying to conquer the same disease has been scientifically proven to be beneficial. Alcoholics Anonymous (AA) is an informal fellowship of recovered and recovering alcoholics. It is the oldest and perhaps the best-known mutual support group for people with alcohol use disorder. The 12-step AA program relies on a spiritual awakening in the participants to guide their recovery from uncontrolled drinking. People who have overcome their addiction share their stories to empower people who are trying to remain sober. Many people battling an addiction are seeking a more scientific and less spiritual approach to recovery. There are a number of support group resources for alcoholics, one of which is SMART Recovery. These groups offer community meetings and online forums for individuals seeking help to overcome alcoholism. The tools offered by these groups are designed to assist people in abstaining from alcoholic beverages or other vices. Even when consumed in small amounts, alcoholic drinks affect men and women differently. Research has shown that heavy drinking is a bigger health risk for women compared to men. There are some resources for alcohol abuse that address the challenges faced by niche groups. One such organization, Women for Sobriety, assists women with alcohol addiction by offering a program designed to stop the abuse of alcoholic drinks. Research Resources for Alcoholism: What’s New in Alcohol Recovery? There are several organizations that provide information and news about the latest research on alcoholism. People trying to quit drinking can learn about the different types of addiction and the treatment options available to them. The National Institute on Alcohol Abuse and Alcoholism (NIAAA), the National Institute on Drug Abuse (NIDA), the Substance Abuse and Mental Health Services Administration (SAMHSA), and the National Institutes of Mental Health (NIMH) are excellent resources for information on the latest studies. These institutes offer the latest news on the effects of alcohol use, new treatments for alcoholism, and scientific research on preventing and treating coexisting mental health problems. This can help recovering alcoholics gain a better understanding of the science behind treating alcoholism. A number of websites offer information to people who are trying to cut down or quit alcohol. The NIAAA has a website called Rethinking Drinking that answers some of the most common questions people have about the use of alcoholic beverages. What counts as one drink? How much is too much? How strong are different mixed drinks? Does drinking lead to weight gain? The answers to many such questions can be found on this site. It is a valuable resource for accurate information. It allows people take a closer look at their drinking habits and the effect of alcohol on their health. According to the NIAAA, alcohol is involved in close to 2000 student deaths, nearly 700,000 assaults, and about 100,000 sexual assaults each year on college campuses around America. For this reason, many university websites dispel myths and misconceptions and offer education on staying safe and healthy when using alcoholic beverages. Such websites are good resources for all kinds of alcohol-related information, including telling the difference between high- and low-risk drinking. The Centers for Disease Control and Prevention has developed a website to provide scientific data on preventing the excessive consumption of alcoholic beverages. This public health initiative on alcohol is designed to educate Americans about the health outcomes of binge drinking and underage drinking. The website offers information about population-based approaches and leadership programs for the prevention of excessive drinking. Some websites offer information on dealing with severe intoxication and caring for friends or family members who have had too much to drink. The signs and symptoms of intoxication, the impact of alcohol on the brain, and how to act in dangerous situations are discussed here. The U.S. National Library of Medicine has a database of clinical studies on alcohol that outline ongoing trials in which recovering alcoholics can participate after discussing the potential risks and benefits with their healthcare provider. Scientific studies have shown that genetics play a role in alcoholism. People with a family history of alcoholism are more likely to develop abnormal drinking patterns. Living with an alcoholic takes a toll on the entire family. Yet, because of the stigma attached to this disease, many people who abuse alcohol, as well as their family and friends, remain in denial. Families will often go to great lengths to rationalize someone’s problematic drinking behavior. But it is friends and family who are best suited to notice the warning signs and symptoms of alcoholism. These high-risk behaviors increase the risk of becoming an addict. When caught in time, early intervention can prevent a potential addict from becoming a full-blown alcoholic. Some resources for alcohol abuse are designed specifically for families and friends of alcoholics. These groups, such as Al-Anon and Alateens, assist people in learning how to cope with a loved one’s drinking behavior. Resources for alcoholics and their families can be instrumental in encouraging someone to seek necessary treatment. Members have access to meetings, phone consultations, and online forums where they can obtain assistance with the situations they are facing. Members can learn how to provide support to family members who are in recovery from alcohol addiction. Teenagers affected by alcoholism can obtain advice on dealing with adult alcoholics in their family. The National Institute on Drug Abuse has a website where family members can find help with treatment for alcohol abuse. This resource for alcoholics and their family members offers guidance on finding inpatient and outpatient treatment programs tailored to each person’s unique needs. Useful information about treating coexisting conditions and related issues is also available from this resource. Studies have shown that in addition to professional treatment, a number of factors influence the recovery from alcoholism. Social and community resources for alcoholism have a lasting influence and play a significant role in recovery from addiction. People struggling with alcohol use disorder can obtain help from a number of sources, such as Christian recovery groups at participating churches in their area. Several nonprofit organizations offer support services to people in distress from alcohol abuse and related problems. Nobody is safe from an uncontrolled consumption of alcoholic beverages. People of all ages, financial standing, and educational backgrounds can be affected. However, some groups of people are at greater risk than others. Communities across America have rehabilitation centers that offer programs to people from high-risk demographics. In addition to gaining access to these programs, people who know someone affected by alcoholism should educate themselves on how to help an alcoholic. The Substance Abuse and Mental Health Services Administration (SAMHSA) offers people with a drinking problem a resource on finding treatment for alcoholism. This confidential service is available in English and Spanish, 24 hours a day, 7 days a week, for the benefit of individuals and their family members who are facing problems with the abuse of alcoholic drinks. It also provides some pieces of advice for those abusing the most dangerous liquids – like rubbing alcohol, for example. The University of Washington has an online library of scientific literature on alcohol abuse. In addition, free posters, brochures, and other materials about prevention of alcoholism are available here. This resource for alcoholics includes a spectrum of information about the social, psychological, criminal justice, and medical issues faced by people with an addiction. Uncontrolled drinking behavior develops due to a number of genetic, environmental, and psychosocial factors. Alcohol acts on the human brain where it affects neurotransmitters and creates a dependence. Studies have shown that some genes predispose a person to alcohol abuse whereas other genes offer protection. Medications that disrupt the action of alcohol on the brain are treatment resources for alcoholics. The United States Food and Drug Administration has approved certain prescription medications for alcohol dependence. Pharmacologic therapies (for example, naltrexone, disulfiram, and Acamprosate) work through different mechanisms of action, such as creating an aversion to alcoholic drinks, reducing cravings, blocking the metabolism of alcoholic drinks, or preventing withdrawal symptoms. It is important to know, however, that mixing alcohol with medicines can result in dangerous reactions. Some medications contain alcohol. Drinking affects older individuals and women differently. Alcoholic drinks can intensify some of the side effects of medications such as drowsiness and lightheadedness, resulting in motor vehicle accidents or falls and injuries. The alcohol content in mouthwash can lead to a relapse. Can you drink alcohol while on antibiotics? This and other such questions are best answered by medical professionals. Medical treatment for alcohol abuse must be conducted under the supervision of a qualified healthcare provider. In addition to medications, individuals trying to overcome addiction can access alternative treatments for alcohol abuse, such as meditation, yoga, and nutrition counseling. A holistic approach to recovery is beneficial for alcoholics who want to bring their life back on track. Resources for alcohol abuse include motivational books and workbooks that help people in recovery gain a better understanding of the disease they are battling. The ADAI Library has a list of new books on addiction recovery that may benefit individuals trying to overcome alcoholism. Recovering alcoholics can gain access to resources for alcoholism over the telephone. 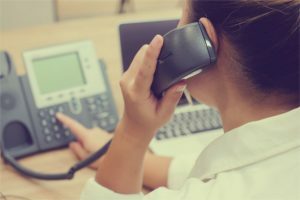 Alcohol abuse hotlines provide a range of services, including help with locating treatment facilities and information on ways to get sober. Many of these hotlines are free, confidential, and available 24×7 to individuals and their family members facing addiction and mental health issues. People with an addiction to alcoholic beverages are at high risk of facing financial difficulties. Not only does alcoholism cost money in terms of the price of the drinks, heavy drinking can cause a person to lose their job or develop medical problems that require treatment. Some people struggling with addiction to alcohol do not seek help because of the perceived cost of treatment. Yet, there are a number of resources for alcoholics that can help with the financial fallout of addiction. The Social Security Administration is a valuable resource for addicts seeking financial help. In addition, there is help available with prescription medications as well as public assistance options for alcohol treatment. State-funded treatment centers provide both outpatient and inpatient services. However, the challenge is that there is often a waiting list to get accepted to these programs. Niche groups of the American population have access to financial aid to overcome drinking problems. There are SAMHSA grants available to help specific segments of the American population, such as pregnant women with drinking problems. Eligible veterans can obtain coverage for individual or group therapy for addiction treatment from the U.S. Department of Veterans Affairs. 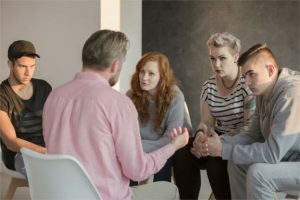 Recovering addicts may be able to engage a financial counselor at a low cost or free of charge to help investigate federal, state, and local resources for alcohol-related financial aid. The consumption of alcoholic drinks during pregnancy can adversely affect the developing baby. The regular intake of beer, wine, or other intoxicating drinks during pregnancy can result in fetal alcohol syndrome, a condition associated with low birth weight, birth defects, failure to thrive, and cognitive deficiency. Expectant mothers can access information about pregnancy and alcohol online or from their healthcare provider. Underage drinking on college campuses across America undermines everything an educational institution or university is trying to accomplish. The excessive consumption of alcoholic beverages by students is associated with poor academic performance, vandalism, injuries, and sexual assault. In addition, studies have shown that binge drinking is common amongst college students. This heavy episodic consumption of alcoholic drinks is associated with a number of health problems. There are several useful resources for underage drinking that aim to change the culture of alcohol consumption on American college campuses. A large fraction of the American population consumes alcohol in social settings. 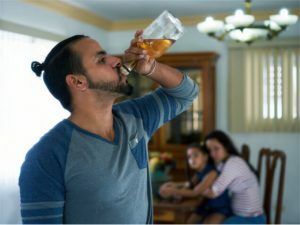 Some individuals are high-functioning alcoholics who continue to have a stable family life and successful career despite their heavy drinking behavior. Beer and wine are some of the most widely consumed alcoholic drinks around the world. Many people do not realize they have an addiction, believing that opening a bottle of wine or reaching for a bottle of beer at the end of the day is a normal way to unwind and relax. Resources for alcoholics help all kinds of individuals dealing with different kinds of addiction to beat the bottle and regain a healthy lifestyle. If you or someone you love has questions about alcohol abuse, call our free helpline (888)-459-5511 for more information. Helpful advisors are available to answer your questions, provide you with information on finding resources for alcoholism, and, ultimately, guide you towards recovery from addiction. Calls are always confidential, private, and secure.